John F. Hartwig was born outside of Chicago in 1964 and was raised in upstate New York. He received a B.A. degree in 1986 from Princeton University, and a Ph.D. degree in 1990 from the University of California, Berkeley under the collaborative direction of Robert Bergman and Richard Andersen. 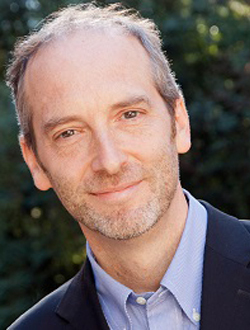 After an American Cancer Society postdoctoral fellowship with Stephen Lippard, he began an appointment at Yale University in 1992, where he was an Assistant Professor, Associate Professor, and then full Professor until 2004. In 2004, he was named the Irénée P. duPont Professor of Chemistry. In August of 2006, Professor Hartwig moved to the University of Illinois Urbana-Champaign, where he was named the Kenneth L. Rinehart Jr. Professor of Chemistry. In August 2011, Professor Hartwig moved to his current position on the faculty at the University of California, Berkeley, where he is the Henry Rapoport Professor of Chemistry. Professor Hartwig's research focuses on the discovery and understanding of new reactions catalyzed by transition metal complexes. He has developed a selective catalytic functionalization of alkanes, a method for formation of arylamines and aryl ethers from aryl halides or sulfonates, a method for the direct conversion of carbonyl compounds to alpha-aryl carbonyl derivatives, a system for the catalytic addition of amines to vinylarenes and dienes, and highly selective catalysts for the regio and enantioselective amination of allylic carbonates. With each system, his group has conducted extensive mechanistic investigations. He has revealed several new classes of reductive eliminations, has isolated discrete compounds that functionalize alkanes, and has reported unusual three-coordinate arylpalladium complexes that are intermediates in cross coupling. Lutz Ackermann (1972) studied chemistry at the Christian-Albrechts-Universität Kiel, Germany, and obtained his Ph.D. in 2001 for research under the supervision of Prof. Dr. A. Fürstner at the Max-Planck-Institut für Kohlenforschung in Mülheim/Ruhr, Germany. He was a postdoctoral fellow in the research group of Prof. R. G. Bergman at the University of California at Berkeley, USA, before initiating his independent career in 2003 at the Ludwig-Maximilians-Universität in Munich, supported by the Emmy Noether-programme of the DFG. 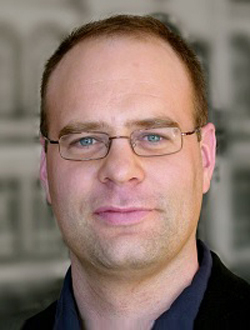 In 2007, he was promoted to full professor at the Georg August-Universität Göttingen. His research was, among others, recognised with an ORCHEM-prize (2006), a Dozentenstipendium (2007), an Astra Zeneca Excellence in Chemistry Award (2011), and an ERC Grant (2012), as well as with visiting professorships at the Università di Milano, Italy (2007), the University of Wisconsin, Madison, USA (2008), and Osaka University (JSPS fellowhship, 2009). The development of novel concepts for sustainable catalysis in organic synthesis constitutes one of his major current research interests. 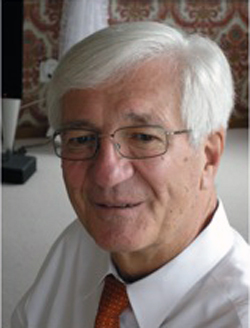 Jeffrey Bode is Professor of Synthetic Chemistry at ETH-Zürich. His research group works on the development of new reactions and their application to the synthesis of proteins, small molecules shapeshifting organic molecules and molecular diagnostics. Jeffrey Bode was born in 1974 near Los Angeles, California. He studied Chemistry (B.S., 1996) and Philosophy (B.A., 1996) at Trinity University in San Antonio, Texas. He began his graduate work at the California Institute of Technology and moved with his research advisor, Prof. Dr. Erick Carreira, to ETH Zürich in 1998, where he received his Dok. Nat. Sci. in 2001. From 2001–2003, he was a JSPS Postdoctoral Fellow at the Tokyo Institute of Technology with Prof. Keisuke Suzuki. In 2003, he joined the University of California, Santa Barbara as an Assistant Professor of Chemistry and Biochemistry. In 2007, he moved to the University of Pennsylvania in Philadelphia as an Associate Professor before joining ETH Zürich in 2010. 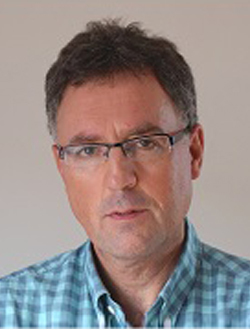 He is Chair of the Editorial Board for Organic and Biomolecular Chemistry. Since 2013, he is a Principle Investigator and Visiting Professor at the Institute of Transformative Biomolecules (ITbM) at Nagoya University in Japan. Marty Burke completed his undergraduate degree in chemistry at Johns Hopkins University, followed by a PhD in chemistry at Harvard University and an MD at Harvard Medical School/Massachusetts Institute of Technology. He is now Professor of Chemistry at the University of Illinois at Urbana-Champaign and an Early Career Scientist of the Howard Hughes Medical Institute. His research focuses on the synthesis and study of small molecules that perform protein-like functions. To enable these studies, his group has developed iterative cross-coupling with MIDA boronates as a strategy for making complex small molecule synthesis as simple, efficient, and flexible as possible. This work has led to more than 160 commercially-available MIDA boronate building blocks that are widely used by many academic and industrial institutions throughout the world. 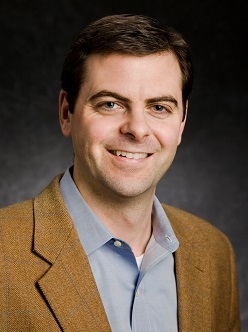 Marty is the recipient of a number of honors and awards, including the Yoshimasa Hirata Memorial Gold Medal, the ACS/Kavli Foundation Emerging Leader in Chemistry Award, the ACS Elias J. Corey Award in Organic Synthesis, and the ACS Arthur C. Cope Scholar Award. Thomas Carell was born in Herford (Germany) in 1966. He is married and father of three children. His academic career in chemistry began at the Universities of Münster and Heidelberg. In 1993 he obtained his doctorate with Prof. H. A. Staab at the Max-Planck-Institute of Medical Research. After postdoctoral training with Prof. J. Rebek at MIT (Cambridge, USA) in 1993-1995, Thomas Carell moved to the ETH Zürich (Switzerland) into the group of Prof. F. Diederich to start independent research. He obtained his habilitation in 1999. In 2000 he accepted a full professor position for Organic Chemistry at the Philipps-Universität in Marburg (Germany). And in 2004 he finally moved as a full professor for Organic Chemistry to the Ludwig-Maximilians-Universität (LMU) in Munich (Germany). Photochemistry, thermal reactions, radicals, rearrangements, enantioselectivity, organometallic chemistry, catalysis, synthesis of natural products and/or biologically active compounds. Nicolai Cramer studied chemistry at the University of Stuttgart, Germany. 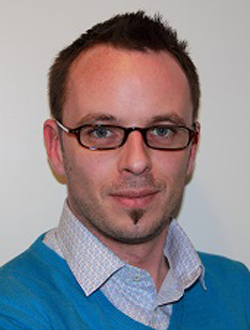 He stayed at the same institution and earned his PhD degree in 2005 under the guidance of Professor Sabine Laschat. After a short research stage at Osaka University, Japan, he joined the group of Professor Barry M. Trost at Stanford University as a Feodor-Lynen postdoctoral fellow in 2006. 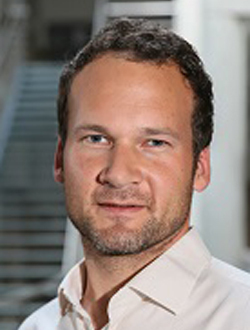 From 2007 on, he worked on his habilitation at the ETH Zurich, Switzerland associated to the chair of Professor Erick M. Carreira and recieved his venia legendi in 2010. 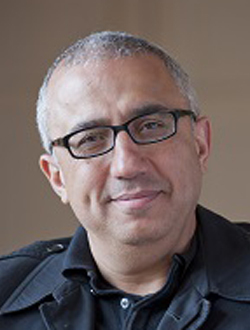 In fall 2010, he joint EPF Lausanne, Switzerland as Assistant Professor and was promoted to Associate Professor in 2013. His general interests encompass enantioselective metal-catalysed transformations and their implementation for the synthesis of biologically active molecules. A key focus of his research is the development of asymmetric C-H and C-C bond functionalisations enabled by designed and tailored ligands. Darren J. Dixon graduated (first class honours) and obtained his D. Phil from the University of Oxford, where he worked with Prof. S. G. Davies. In 1997 he moved to the University of Cambridge to carry out post-doctoral work with Prof. S. V. Ley FRS. He began his independent career in 2000 at Cambridge before moving in 2004 to a Senior Lecturership at The University of Manchester. In 2007 he was promoted to Reader and in 2008 he moved to his current post as Professor of Chemistry at the University of Oxford where he holds the Knowles-Williams Tutorial Fellowship in Organic Chemistry at Wadham College. His research interests lie predominantly in the field of asymmetric catalysis where he has ongoing research programs developing practicable and synthetically powerful methodologies. These are based on the harnessing of new chemical reactivity or cascades of chemical reactivity, that allow the highly enantio- and diastereocontrolled formation of difficult-to-access, structural/stereochemical motifs common to biologically relevant complex natural products and pharmaceutical or agrochemical compounds. Gwilherm Evano was born in 1977. He studied chemistry at the Ecole Normale Supérieure in Paris and received his Ph.D. from the Université Pierre et Marie Curie in 2002 under the supervision of Profs. François Couty and Claude Agami, working on asymmetric synthesis. After postdoctoral studies with Prof. James S. Panek at Boston University where he worked on natural product synthesis, he joined the CNRS as Chargé de Recherche at the University of Versailles in 2004. He then moved to the Université Libre de Bruxelles as associate professor in 2012 where he is now the co-director of the Laboratory of Organic Chemistry. He received several awards including the CNRS bronze medal and the Acros Prize in organic chemistry of the French Chemical Society. The research interest of his group are mainly focused on the development of new copper-catalysed transformations and the chemistry of heteroatom-substituted alkynes as well as the total synthesis of natural and/or biologically relevant products. 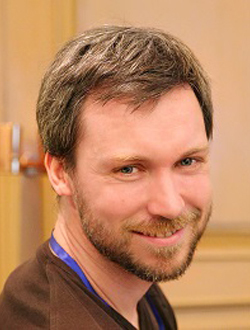 Fabien Gagosz obtained his PhD with Prof. Samir Z. Zard at Ecole Polytechnique, France, in 2002. 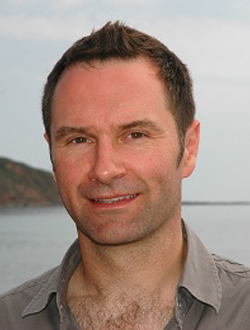 After postdoctoral studies with Prof. William B. Motherwell at University College, London, he returned to Ecole Polytechnique in 2004 to start his independent academic career as a Chargé de Recherche CNRS. He was promoted Directeur de Recherche in 2012. His research concerns the development of late-transition metal-catalysed reactions in general, with a special predilection for homogeneous gold catalysis. 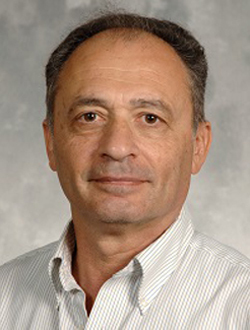 Amir H. Hoveyda is the Patricia and Joseph T. ’49 Vanderslice Millennium Professor and chairperson of Chemistry at Boston College. He received his undergraduate education at Columbia University (B. A., 1981), was a graduate student at Yale University received his postdoctoral training as a National Institutes of Health and American Cancer Society Fellow Harvard. Hoveyda's research interests include the discovery of new catalysts and development of efficient, sustainable and stereoselective reactions, detailed study of reaction mechanisms, enantioselective catalysis, and synthesis of complex natural products. Dr. Dawei Ma received his PhD in 1989 from Shanghai Institute of Organic Chemistry (SIOC), and did his postdoctoral studies at the University of Pittsburgh and Mayo Clinic. 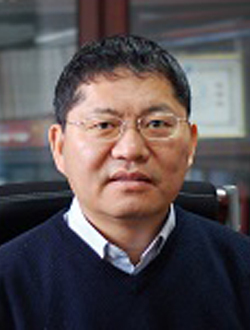 He returned to SIOC in 1994, and was appointed as research professor in 1995. He is presently the deputy director of SIOC and an associate editor of Journal of Organic Chemistry. His research interests currently focus on the development of new synthetic methodologies, the total synthesis of complex natural products and their SAR and action mode studies, as well as the discovery of small modulators for target proteins and special biological processes. 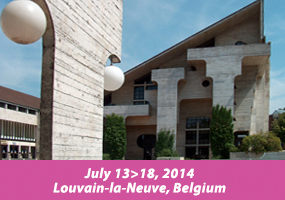 Center for Research in Biological Chemistry and Molecular Materials (CIQUS) and Department of Organic Chemistry. José Luis Mascareñas completed his PhD at the University of Santiago in 1988. He was a postdoctoral fellow at Stanford University (USA) under the supervision of Prof. Paul Wender (1989-1990); and became permanent professor in 1993, and full professor in 2005, at the University of Santiago. He has been visiting scholar in Harvard University (USA) in the summers of 1992 and 1995, and visiting scientist in the University of Cambridge (UK, 2009) and the MIT (USA, 2013). In 2009 he received the Organic Chemistry award of the Spanish Royal Society of Chemistry, and in 2013 the advanced grant ERC award of the UE. 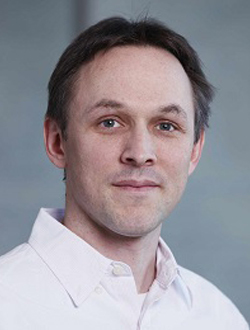 His current research interests are split between a synthesis program focused on the development of metal-catalysed processes, and a chem-bio programme aimed at designing new nucleic acid and protein recognition and sensing tactics. David Milstein received his Ph.D. degree at the Hebrew University of Jerusalem in 1976 with Prof. Blum. He carried out postdoctoral at Colorado State University, where together with his advisor, John Stille, he discovered the Stille Reaction. In 1979 he joined the DuPont Company in Wilmington, Delaware, where he became a Group Leader in the homogeneous catalysis area. In 1987 he accepted a professorial appointment at the Weizmann Institute of Science, where he was Head of the Department of Organic Chemistry in 1996-2005. In 2000 he became Head of the Kimmel Center for Molecular Design. He is the Israel Matz Professor of Organic Chemistry since 1996. His research interests focus on the development of fundamental organometallic chemistry, particularly the activation of strong bonds, and its application to the design and implementation of new environmentally benign processes catalysed by transition metal complexes. Dieter Seebach was born in Karlsruhe, Germany, in1937 and studied chemistry at the local Technische Hochschule (now KIT), where he received a PhD degree in 1964 with a thesis on small-ring compounds and peroxides (supervisor. R. Criegee). After a two-year stay at Harvard University as a Postdoctoral Fellow (with E. J. Corey) and Lecturer he returned to Karlsruhe for a Habilitation (1969) on S- and Se-stabilised carbanion and carbene derivatives. In 1971 he became Full Professor at the Justus Liebig Universität Giessen and in 1977 he moved to ETH Zurich. He held longer-term guest professorships, for instance at the University of Wisconsin (Madison), Caltech (Pasadena), and Harvard University. Main areas of research in the past: reactivity umpolung, pool of chiral building blocks, structure of Li-compounds, chiral dendrimers, TADDOLs, self-regeneration of stereogenic centers, S-, Se-, Si-, NO2-, F-, Ti-organic compounds, PHB. Since 2003 Seebach has been Professor Emeritus at ETH, where he leads a group of postdoctoral co-workers in research mainly on β-peptides, biological investigations, and the mechanism of organocatalysis. 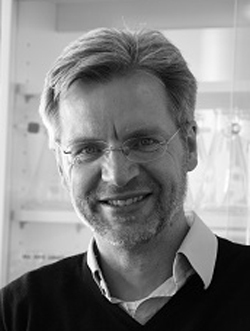 Professor Troels Skrydstrup is currently director of the Interdisciplinary Nanoscience Center (iNANO) and staff member of the Department of Chemistry at Aarhus University. He grew up in Canada and received a BSc (Eng.) degree from Queen’s University, Kingston, Canada (1983) and thereafter his MSc and PhD degrees from the Technical University of Denmark (1985 and 1988). After several post-doctoral periods at l’Institut de Chimie des Substances Naturelles, Gif-sur-Yvette and at the Carlsberg Laboratories, Copenhagen, Troels Skrydstrup was employed as a Chargé de Recherche for 4 years at l’Université Paris XI in Orsay. In 1997, he was appointed to Associate Professor at the Department of Chemistry, Aarhus University, and was promoted to full Professor in 2002. Troels Skrydstrup was Head of Department in the period 2001–2004. He has a keen interest in the use of single electron reducing reagents and transition metal catalysis and organic synthesis and recent efforts over the last three years have been focused on providing viable solution production and applications of carbon monoxide and other low molecular weight gasses. Other efforts include selective CO2 transformation. He has approx. 200 publications, and is cofounder and owner of the spin-out company, SyTracks, which deals with the handling and application of gaseous reagents in synthesis. Troels Skrydstrup was elected as a fellow of the Royal Danish Academy of Sciences in 2008, and in 2012, he was knighted by the Danish Queen. Mikiko Sodeoka received her B.S. (1981), M.S. (1983) and Ph.D. degree (1989) from Chiba University (Pharmaceutical Sciences). After working at Sagami Chemical Research Center (1983-1986), she joined the Faculty of Pharmaceutical Sciences, Hokkaido University as a research associate. After working as a post-doctoral fellow at Harvard University, she moved to the University of Tokyo (1992). She became a group leader at Sagami Chemical Research Center in 1996 and an associate professor of the University of Tokyo in 1999. In 2000, she moved to Tohoku University as a full professor. 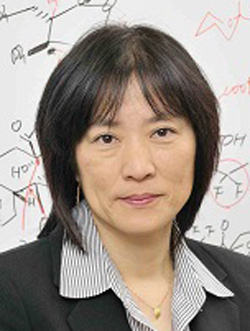 Since 2006 she has been the chief scientist and director of Synthetic Organic Chemistry Laboratory of RIKEN. 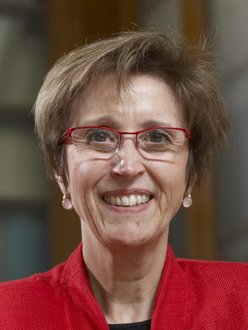 Her current researches cover development of new transition metal-catalysed reactions, design and synthesis of biological probe molecules based on natural products, and biological research using them. She is especially interested in (1) enzymes responsible for chemical modification of proteins such as protein phosphatases, kinases, and methyltransferases and their roles in intracellular signal transduction, and (2) molecular mechanism of cell death. 1976-1985: Studied chemistry at the University of Mainz. Received a Ph. D. in Organic Chemistry in 1985 under the guidance of Prof. H. Kunz. 1985-1986: Postdoctoral fellow with Prof. George Whitesides at Harvard University, Cambridge, Massachusetts. 1986-1991: Habilitation at the University of Mainz. Obtained tenure in 1991. 1991: Appointment as Professor of Organic Chemistry at the University of Bonn. 1993: Appointment as Full Professor of Organic Chemistry at the University of Karlsruhe. 1998: Calls to the Max Planck Institute of Molecular Physiology, Dortmund and to the University of Dortmund, to the Technische Universität München and the Technische Universität Stuttgart. 1999: Appointment as Director at the Max-Planck-Institute of Molecular Physiology Dortmund, Department of Chemical Biology and as Full Professor of Organic Chemistry at the University of Dortmund. In 2007: Managing Director of the Center of Advanced European Studies and Research (“caesar”), Bonn. Prof. Waldmann’s research interests lie in the analysis of natural product structure for Biology Oriented Synthesis (BIOS) which employs biological relevance and prevalidation to identify novel bioactive compounds for the study of biology. This work includes the design and synthesis of natural product-inspired compound collections and the development of novel enantioselective synthesis methodology, cell-based screening and identification of the cellular targets of bioactive compounds. A major focus of research in the Waldmann group is on the synthesis of lipidated peptides and proteins in particular of the Ras superfamily and the development of small molecule modulators of their function.